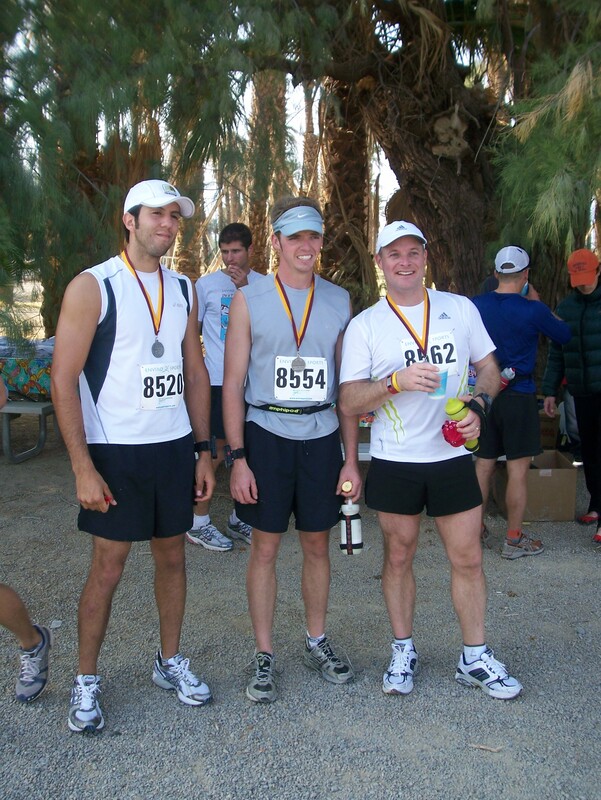 Death Valley gives new meaning to the word extreme. From 282 feet below sea level (the nation's lowest point), the park tops out nearby at an astonishing 11,049 feet. The highest temperatures in the United States are regularly recorded here, as are winter snows and near-zero nighttime temperatures. 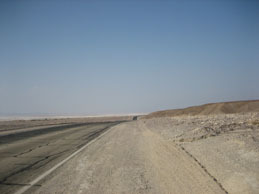 Hemmed in by nine mountain ranges, Death Valley is cut off from rejuvenating rainfall and cooling Pacific winds, making it one of the driest and hottest places in the world. 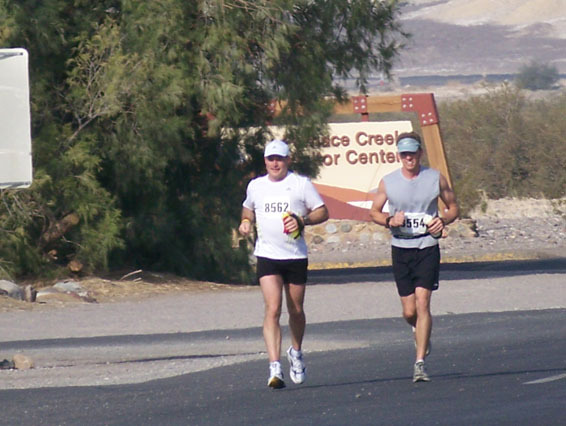 Lee Hoedl and Chuck Fabijanic reunite for another of their middle-age adventures, this time choosing to run through Death Valley rather than cycle through it as they did in 2004. 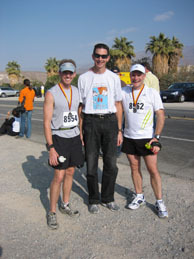 Lee ran the Death Valley Marathon and Chuck ran the Death Valley Half-Marathon on Saturday, December 1, 2007. Lee's marathon was dedicated to the following individuals: Leone Clarens; Murray McManus; the mother of classmate Julie Huber Greenberg; Joseph Delaney. May their souls rest in peace. A sample picture of the Death Valley Marathon route (note the lone runner coming up over the ridge on the highway). 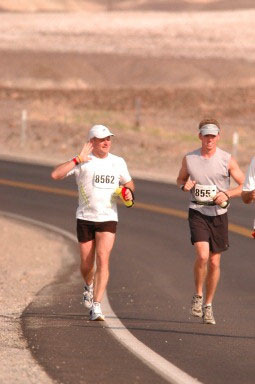 For more images, click on the link below, Additional Images of the 2007 DV Marathon.